I am slowly starting to suspect that Apple is preparing an iPad Pro device, running proper Mac OS. Where do I get that from? Well, here’s a mental exercise for you. I’m gonna start throwing a bunch of facts and speculations at you and then I’d like to see whether you are not getting the same gut feeling as me. I’m also gonna try and keep it short, alright? Yesterday, at a press conference announcing Apple’s amazing quarterly results, Peter Oppenheimer, the company’s COO, briefly mentioned there will be a lot going on in the fall and hinted the company had a “future product transition” on the way. Another bit we took from that conference is that, unsurprisingly, the iPad business is booming. iPad sales are already surpassing Macs in both numbers shipped and in revenue. Apple has a really hot product on their hands. And it makes you wonder – why don’t they expand it even further? People obviously love tablets. Now, we’ve been hearing those persistent rumors about Apple preparing a new iPad for this fall season. It really sounds non-sense – introducing a new product when you’ve had the past generation for less than half an year and when you’ve only recently started to meet the incredible demand. The iPad 2 is a gold mine. Why throw it to the garbage by releasing an entirely new product that bests it in every respect? There is only one way for this to happen that makes business sense – and it’s introducing a product of the same family but in an entirely different price range. Unlike most of the other Apple products, the iPad is actually sensibly priced. So much so, that even competitors have a hard time beating its price tag even though they are using an open-source OS for free (more or less). That certainly leaves only one option for a potentially “different” iPad and it’s a higher tier than the current one. And in case you’ve missed it (and I bet you didn’t), Apple finally released their latest iteration of Mac OS today. 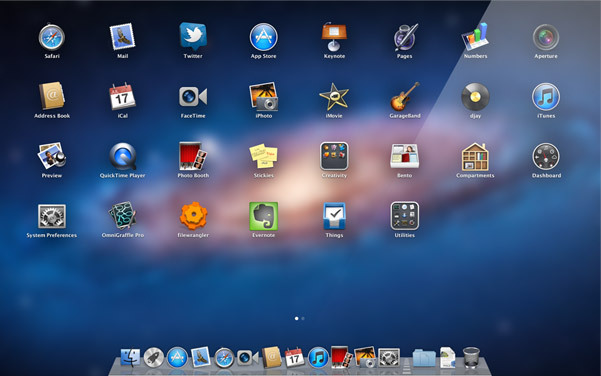 They call it Mac OS Lion and among the most intriguing changes it brings is the Launchpad – an iPad-like way of displaying all your app icons. In fact, most early reviews of the Mac OS Lion suggest the Launchpad is superfluous unless you actually have a touchscreen on your Mac (which no Mac has). What’s more, Mac OS Lion comes with support for multi-touch gestures, which again…have been seen demoed experimentally on the iPad. Which brings me to my point. Run through all these facts once again and tell me if you still find it hard to imagine the following – a higher-tier iPad Pro running Mac OS Lion coming this very fall. See? It wasn’t that hard, you just have to get the conspiracy theory mindset and you’ll be all sold just like me. As usual, I’d be happy to see what you think in the comments below.